WASHINGTON, N.C. (WNCT) - A man and a woman were arrested Wednesday after transporting heroin from the Craven County into the Beaufort County, deputies said. Donna McKeown, 37, and Ronald Williams, 45, both of Washington, were charged with possession with intent to sell and deliver heroin and possession of drug paraphernalia. The Beaufort County Sheriff’s Office Drug Unit said they were receiving complaints that McKeown and Williams were transporting heroin to sell and use from the Craven County into the Beaufort County. 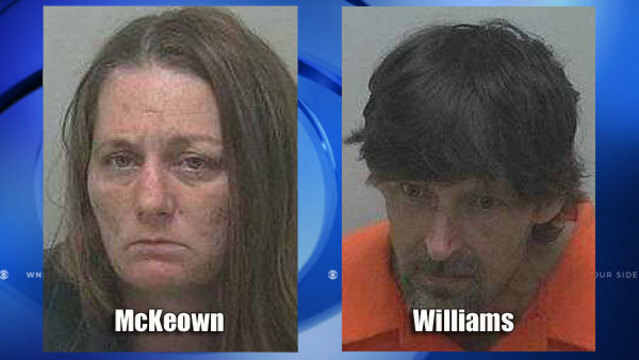 McKeown and Williams were stopped by deputies after they got to Beaufort County. Deputies said they found approximately two grams of heroin and syringes in the vehicle. They were sent to the Beaufort County Detention Center under a $5,000 bond.